Discussion in 'News & Rumours' started by CrashCoaster, Nov 12, 2018. So since today is the first day of IAAPA 2018, I thought I'd make this years edition of the topic, so we can keep all things IAAPA 2018 in this thread. Should be an awesome time as always! We have @Ian, @ECG and @Snoo on the ground this year covering it for us live! Most stuff will be posted to the various SM channels first, due to the ease of doing that on the go, but we should be able to start linking stuff back here for a good 'ol forum discussion on it. Matt N, EpochEmu, Youngster Joey and 6 others like this. It shall be a great time! Tons of reveals and good stuff to throw out. The Social Media is definitely best but I'll be sure to post in here as much as possible. I'm most excited to see Steel Curtain's trains being revealed. Some interesting ones in here. 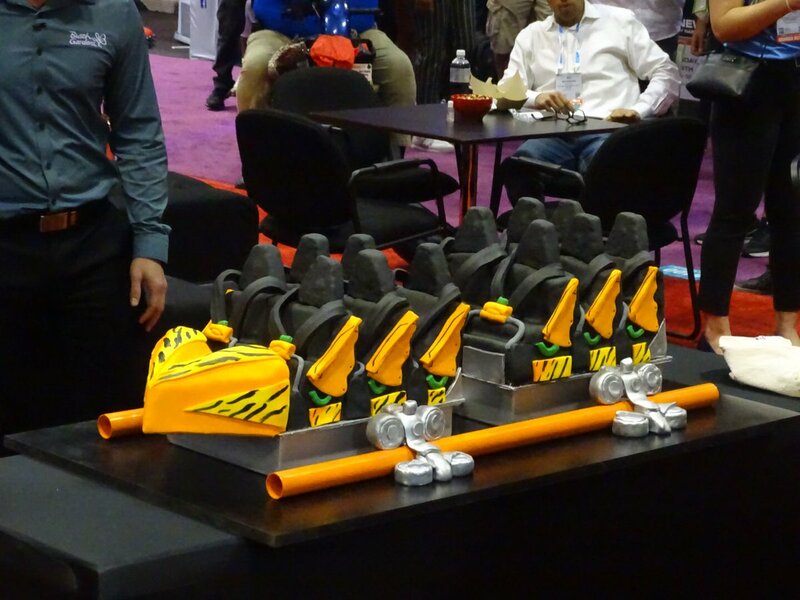 Premier, S&S, Sansei, Intamin, Gravity Group and Zamperla all have press events scheduled. Hixee, JoshC., Youngster Joey and 5 others like this. Premier Rides should be Tigris, Skyline should be Tidal Twister. 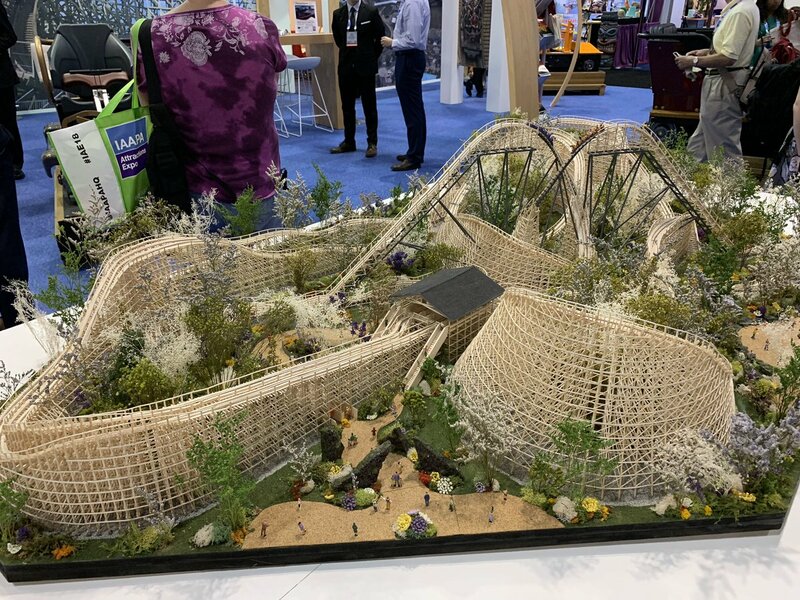 GCI have this insane model of a duelling coaster with a steel support structure for the lifthills and first drops, and are showing off a new train design - the Infinity Flyer. Jaiden M., Edward M, Pokemaniac and 8 others like this. Wow, both the model and train are amazing. Love the look of them. The trains for that are a significant improvement too. Those trains are giving off some serious Iron Rattler vibes! They're so open and cool looking! Whoa that GCI train has articulated wheel bogies like Timberliners. It looks awesome! 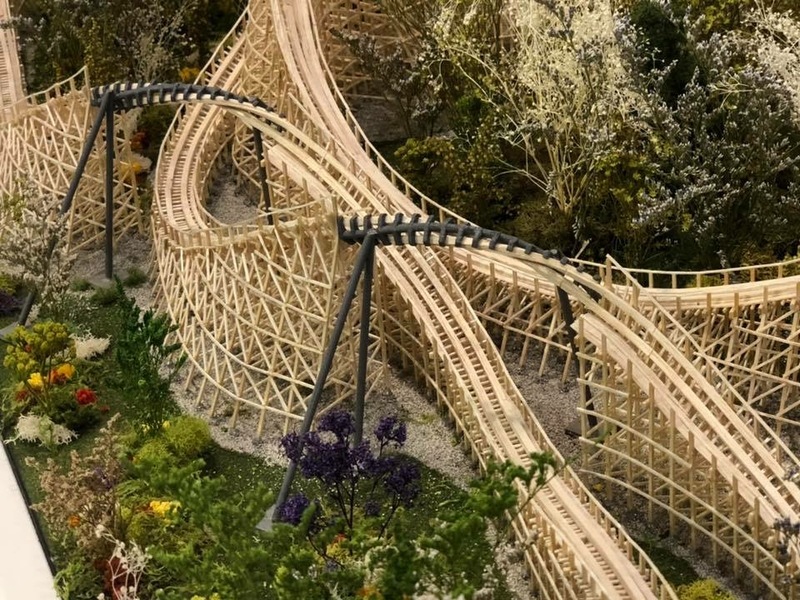 Will those trains be used for all future GCI coasters or just for that coaster? They look so comfortable. I've just realized... Maybe Gerstlauer had some involvement in the design of those trains. They are called Infinity Flyers and they look to have nearly the same restraints as Gerstlauer Infinity Lap Bars. EthanCoaster, Pear, EpochEmu and 2 others like this. That GCI model design won't be going anywhere I'm afraid. Its just a concept with no particular park in mind. Was lucky enough to get to watch it being built. Was quite a cool process. In other news Zamperla have a car at their stand for a new Thunderbolt which will be heading to Mundo Petepa in Guatemala. Kentucky Flyer front car unvealed! Pear, Coaster Hipster, FistedColossus and 5 others like this. I'll be completely honest... I don't like it. I don't hate it, but I don't like it. I think it's fab. I love how goofy it looks! tomahawk, Edward M, Youngster Joey and 6 others like this. I must say I like the look of everything seen in this thread so far! 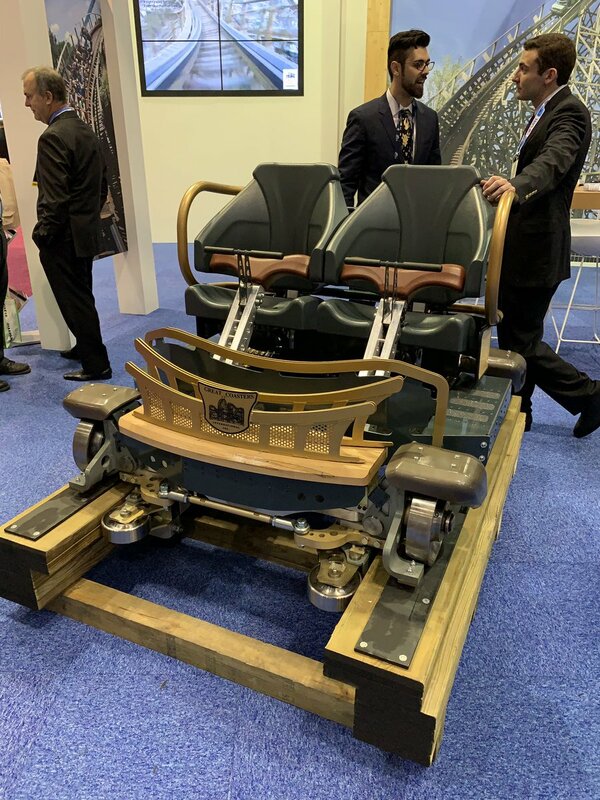 The GCI train design and concept look like quite a departure from anything else they've currently done; the new restraints almost remind me a little of the clamshells you find on B&M hypers, but I don't know whether I'm the only one who sees that! I also like the Kentucky Flyer train; looks really nice and colourful! CSLKennyNI and DelPiero like this.